In line with Netlifx’s Our Planet series, both WWF and Netflix worked together to promote the message behind the documentary series. 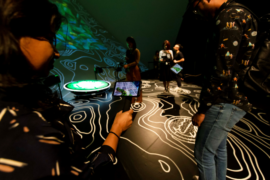 To push out the campaign, WWF engaged Melbourne-based immersive technology studio, PHORIA to launch an experience utilising augmented reality (AR) in Singapore. 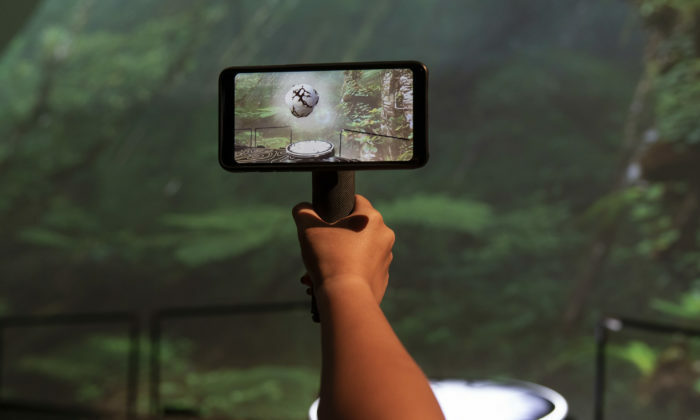 Called REWILD Our Planet, the AR experience aims to augment the emotional connection users feel to each other and the planet. The installation will be featured at the ArtScience Museum at Marina Bay Sands, followed by in the UK and US. 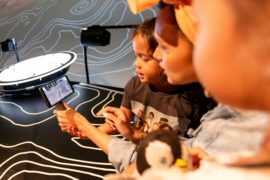 The move is a joint collaboration with Netflix, WWF, ArtScience Museum at Marina Bay Sands, Arup and Google. Speaking to Marketing, Kim Stengert, chief, strategic communications and external relations, WWF Singapore said the team at WWF aims to impart the message of environmental conservation to everyone through the REWILD Our Planet exhibition. This comes as the team recognises an “urgent conservation purpose” to understand and protect the nature. 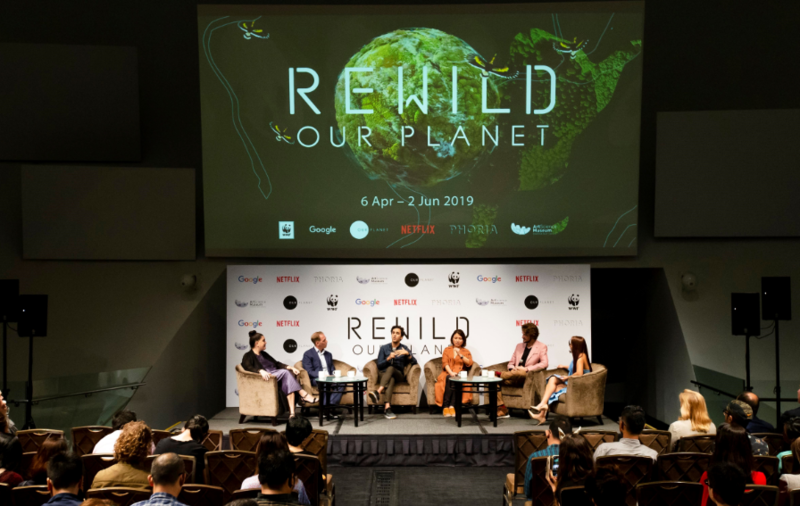 Stengert explained that the exhibition at ArtScience Museum exemplifies the main takeaway of the Our Planet series, which is to address the challenges the planet faces and to have the shared responsibility to act and rewild these natural environments. The exhibition complements Our Planet, an eight-part documentary series narrated by Sir David Attenborough. Our Planet showcases the Earth’s “most fragile ecosystems” through multimedia storytelling while this innovative installation blends location-based AR technology and IMAX-style content into an “immersive and interactive” experience. The “REWILD Our Planet” experiential installation combines two-dimensional storytelling with AR gameplay, supported by sensory sights and sounds. The experience prompts users to physically collaborate with one another to restore damaged biomes, unlocking unique weather patterns and wild animal encounters. The visitor experience was amplified by Arup’s acoustics team, that created an immersive soundscape and added sound effects from nature to enhance key moments in the video. By “rewilding 3D landscapes” together, users will also be able to “realise their collective power to take action”. In addition, users will be allowed to leave their mark on the exhibition by placing ongoing AR pledges. These connects to WWF’s Voice for the Planet campaign. Trent Clews-de Castella, CEO of PHORIA said “REWILD Our Planet” showcases how AR has the power to build bridges between people and the places they love. “This evocative experience emphasises the connection between human beings and our environment. It generates a sense of presence and interactivity for every individual user. Building this exhibition with Netflix and Google and combining it with compassion-driven narrative from WWF demonstrates how emerging cross reality technologies will transform the social impact sector for good,” he added. “Together, these world first features will generate a shared understanding of our responsibility to protect nature through time. The global activation has been designed to remind users that we are all on the same team and that the effort to rewild the world needs everyone involved,” Clews-de Castella said.